Henwood Electrical Ltd Whangarei is committed to providing its customers with skilled and safety trained staff. We go the extra distance to ensure any special site requirements for customers are meet. One of our providers for this training is Site Safe. 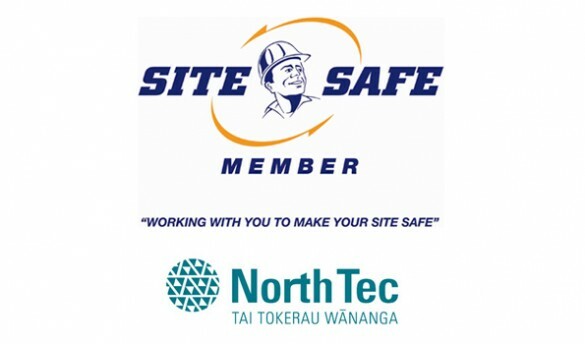 Site Safe has a nationwide network of trainers. Our trainers have been selected because they are all highly competent with a background in the construction industry and have extensive knowledge of the Health and Safety in Employment Act. If your site has any special requirements please let us know and we will be happy to accommodate you. SiteWise is a prequalification system that grades a contractor’s health & safety capability and publishes that grade in a database that can be viewed by main contractor’s and principal organisations. This allows for better contractor selection and an easier tendering process for everyone involved. Your company’s OTIS Contractor Safety Management System compliance has been approved. Rapid Global is an Award Winning Workplace Health And Safety Software Provider. Rapid Global software provides workforce management software to many of the world’s most respected organisations. process have been approved and your company is now deemed ‘compliant’. PREQUAL is a New Zealand first. We offer a client led, fully outsourced, pan-industry contractor prequalification scheme. PREQUAL is backed by Impac Services Ltd, New Zealand’s leading provider of risk and safety management solutions.